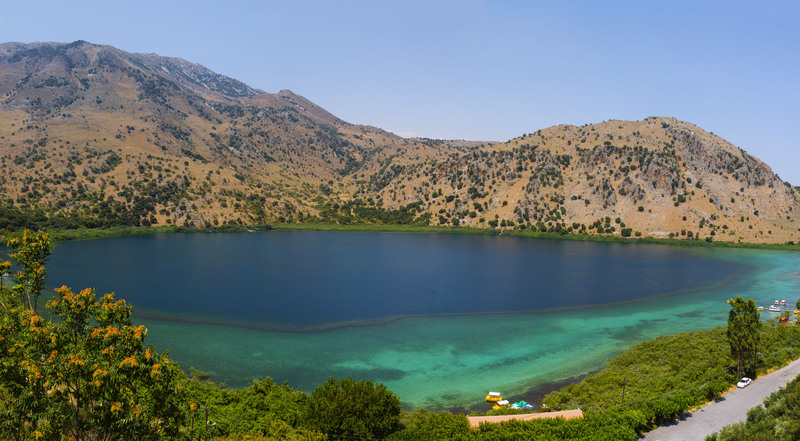 BlogHome » The Anemos Luxury Grand Resort is the highly prized Hotel of TUI. 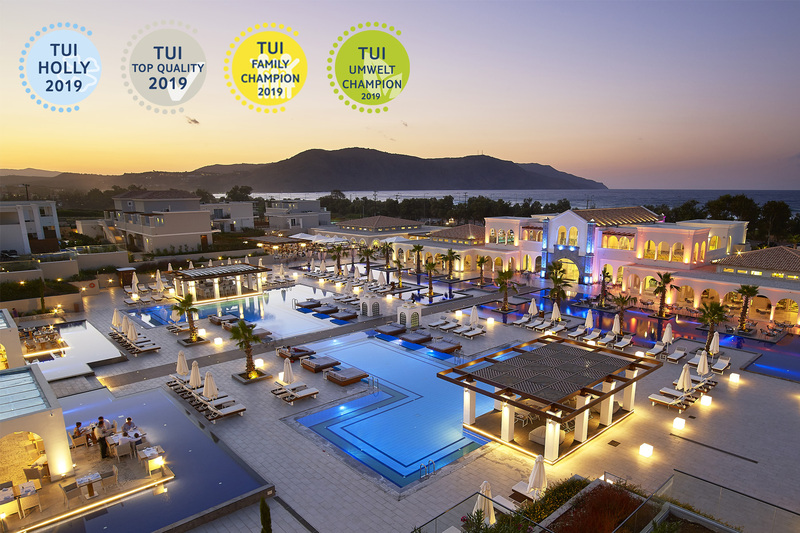 TUI company, one of the biggest tourism organizations in the world, honored Anemos Luxury Grand Resort with 4 TUI Awards: the TUI Holly 2019 Award, the TUI Top Quality 2019 Award, the Family Champion 2019 Award and the TUI Environmental Champion 2019 Award. The TUI Holly is the highest accolade that can be accorded a TUI Hotel. It stands for everything that makes a TUI holiday perfect: Great attention to detail, superb service and outstanding cuisine. The hotel’s guests are the jury. With their response to the question” How do you rate your hotel/accommodation overall? “in the TUI guest survey they decide which hotels can adorn themselves with the TUI Holly. The TUI Holly is the premium prize for the 100 most popular TUI hotels worldwide. In addition to the TUI Holly, TUI is awarding Anemos Luxury Grand Resort another quality label: TUI Top Quality 2019. This label highlights all hotels that earn a minimum of 8.7 out of 10 possible points in response to the question “How do you rate your hotel/accommodation overall?”. Anemos Luxury Grand Resort scored an exceptional customer satisfaction rating, therefore received this additional certificate of quality. Also, Anemos Luxury Grand Resort has been distinguished with the TUI Family Champion award for the second consecutive year, which proves that the hotel provides excellent facilities for children. Finally, Anemos Luxury Grand Resort won the TUI Environmental Champion accolade, which is awarded to hotels that are particularly committed both to the protection of the environment and socially responsible management. The ceremony of the TUI Holly 2019 Awards will be held on 5 March 2019 in Berlin. 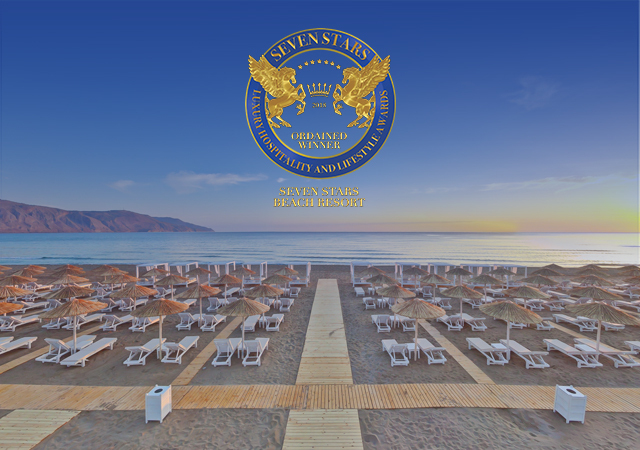 The management of the Anemos Luxury Grand Resort will attend the event in order to receive this important accolade. 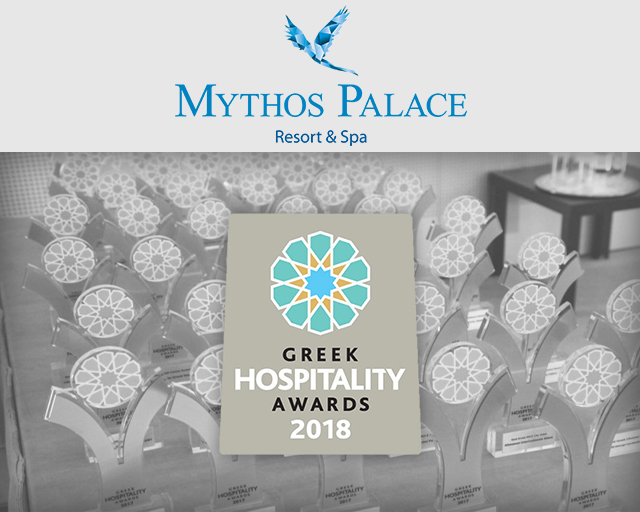 Το Mythos Palace Resort and Spa συμμετέχει στα Greek Hospitality Awards 2018!